Learn the Hot Peppers Types and Their Heat. Peppers are a common ingredient in many dishes and are particularly popular in many Mexican recipes. There are over one hundred and fifty hot peppers types and each one has a distinct flavor that is all it’s own. If you choose to use peppers in food preparation, try to use the specific pepper recommended in the recipe. This will help your dish have a real authentic flavor that can’t be denied. Before we discuss specific peppers, and for those of you who do not know, you will see me reference something called the scoville scale or scoville units. The scoville heat unit is a measurement of the heat of the pepper, the higher the SHU the hotter the pepper. Now that we all know that, lets get spicy and talk peppers, pun intended.. Starting at the bottom end of the scale we begin with the widely known and used bell pepper. 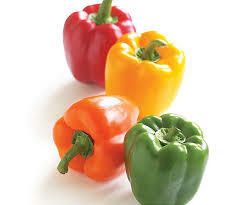 Arriving in a variety of colors, bell peppers are considered a sweet pepper. 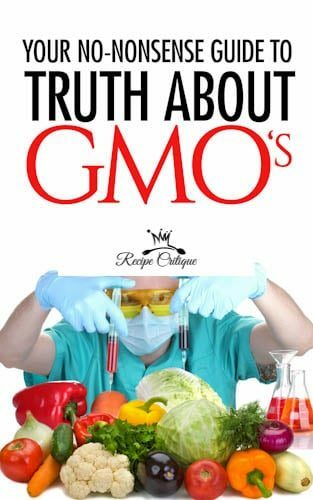 They do not have any heat to them as they lack capsaicin, the chemical that causes the heat. They are great sauteed with onions for such dishes as fajita’s or cooked into stews or they can be eaten raw in salads or added to your favorite omelet. Although they are not hot peppers they do have a delicious flavor that can complement many different dishes. They are also excellent sources of Vitamin A, C and B-6. For a little more heat, we can use either the Ancho Chilie Pepper or a Poblano pepper. These are essentially the same pepper, as the Ancho is just a dried form of the Poblano. The Ancho Chili pepper will warrant anywhere from 1,000 to 2,500 scoville heat units. While the Poblano’s typically top out at 2,500. 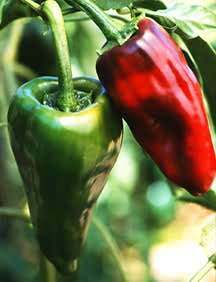 The Poblano is a relatively mild chili pepper but the ripe red one can be much hotter than the green version. Ancho chilies are credited with Vitamin A and C, as well as Calcium and Iron.The Poblano pepper has vitamins A, D, c and B-12, along with Iron and Magnesium. Next up is the Chipotle pepper. There are a couple of varieties of the Chipotle pepper, the Chipotle Meco and the Chipotle Morita. The word Chipotle means any smoked chili peppers. Both The Chipotle Meca and Morita are red ripe chili peppers that range anywhere from 2,500 to 10,000 on the scoville scale. The Chipotle chili pepper contains vitamins A, C, B6, K as well as iron, magnesium, potassium and dietary fiber. 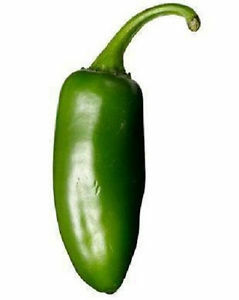 The Jalapeno is the most known and used chili pepper. They measure anywhere between 2,500 to 10,000 scoville units. 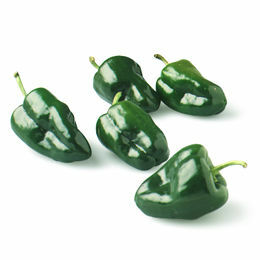 The majority of our jalapenos in the US come from Mexico. 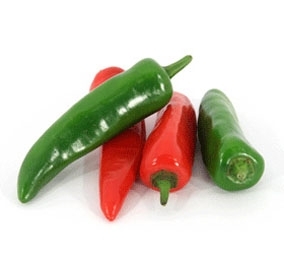 The red jalapeno is slighter milder than the green and is also sweeter. They are also milder than the Serrano pepper. 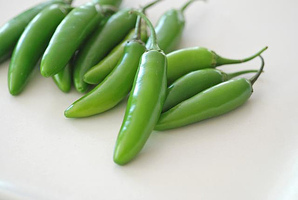 Jalapeno peppers are a source of vitamins A, D, B-12, C and B6. Serrano peppers are the smaller relative to the Jalapeno. They measure 10,000 to 25,000 scoville heat units, thereby packing a bigger punch than the Jalapeno. Serrano peppers can vary in color from yellow, green, orange, to red and brown, and are quite commonly used in Pico de Gallo. Serrano peppers contain the same nutritional benefits as the Jalapeno pepper. Cayenne pepper, AKA cow-horn pepper, the Guinea spice, red hot chili pepper, aleva, bird pepper, or, basically red pepper, measures anywhere from 30,000 to 50,000 scoville units. This hot pepper packs a major punch. Tooted to have many amazing health benefits, this pepper supposedly works wonders to reduce acidity in the body, lower high cholesterol. Cayenne peppers have also been attributed with the ability to alleviate the pain of osteoarthritis, rheumatoid arthritis, and works as part of a natural remedy for fibromyalgia. 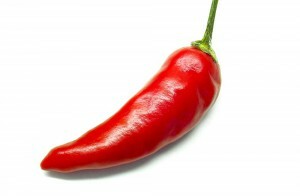 Cayenne pepper contains Vitamin C, B-6, E, potassium and manganese. Habanero’s are typically a smaller pepper but don’t be fooled by their size. They measure between 100,000 to 350,000 on the scoville scale, so they are extremely hot. This is a favored pepper for hot sauces and traditionally spicy foods.They can be found in a variety of colors, but most commonly orange and red. 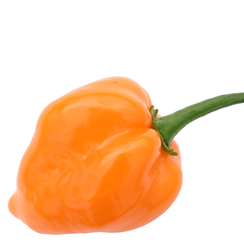 The Habanero contains Vitamin C and potassium. They have a high capsaicin content, which is a natural anti-inflammatory. These are some of the most commonly know pepper varieties and their heat intensity. Just a bit of interesting info, the hottest pepper on record today is the Carolina Reaper. Measuring anywhere from 1,569,383 to 2,200,000 scoville, these are some hot mama’s. Eat at your own risk. Clocking in on an average of 1,569,300 scoville heat units, these peppers were certified as the hottest by Guiness World Records in 2013.